TT 2018 Dan Kneen has passed away. The natural pilot of Douglas (Isle of Man) has died this afternoon after suffering an accident at Churchtown, north of the island, during the start of the fourth day of qualifying sessions of the TT 2018. According to the information provided by the organization of the TT, Dan Kneen has died practically in the act after a brutal accident that has ended with his bike on fire, causing also a fire in a nearby tree that has forced the firefighting team to suffocate the fire. Dan Kneen, 30, was a teammate of Michael Dunlop at the Tyco BMW. His debut in the TT of the Isle of Man -his place of birth and residence- took place in 2009, just after competing in the ManxGP 2008, and he had to wait until 2017 to achieve his best result in the Mountain Course with a third place in the Superstock race. During the afternoon of Tuesday, Kneen got his best return to the Isle of Man with an average of 132.258 mph, remaining only six seconds to enter the select club of U-17 pilots who have managed to roll below the 17 minutes on the Isle of Man, a milestone that until now only Michael Dunlop and Dean Harrison have achieved. 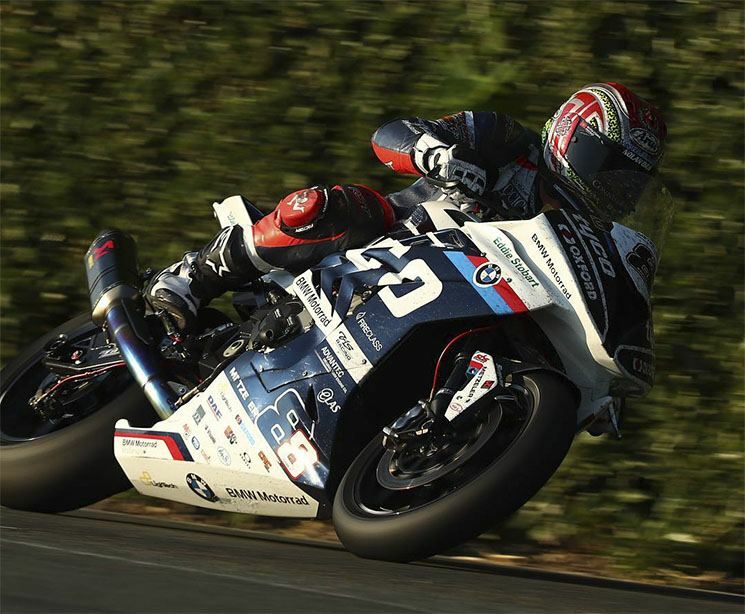 Kneen achieved his dream of becoming a factory driver last year when the Tyco BMW offered him one of his S1000RRs at the Ulster Grand Prix. His great performance in this road race earned the Manx driver to keep his seat in the British structure for this 2018, pairing up with one of the best road racers in history, Michael Dunlop. In addition to the fatal accident of Dan Kneen, a second driver has suffered a collision with one of the assistance vehicles that came to the accident of Kneen when the circuit was already closed with a red flag. At the moment there is no more information on the state of health or the name of this pilot. From MotorbikeFans we want to send our condolences to the family and friends of Dan Kneen. According to the official information provided by the organization, there have been two accidents in a short period of time. The first has been at the height of Churchtown, where apparently the rider Dan Kneen has suffered a fall and died; the second one occurred only a minute later near Ballacrye’s jump, when a motorcycle collided with one of the assistance cars that came to the first accident after the marshals had already signaled the entire circuit with a red flag. Some witnesses of the accident assure that the collision would have been frontal between the motorcycle that went in opposite direction to return to the Grandstand after the red flag – and the vehicle of emergencies, that went in the habitual direction of the circuit. This last point has not been confirmed yet by the organization. This last rider has been transferred by helicopter to the Nobles hospital, without knowing the extent of his injuries.